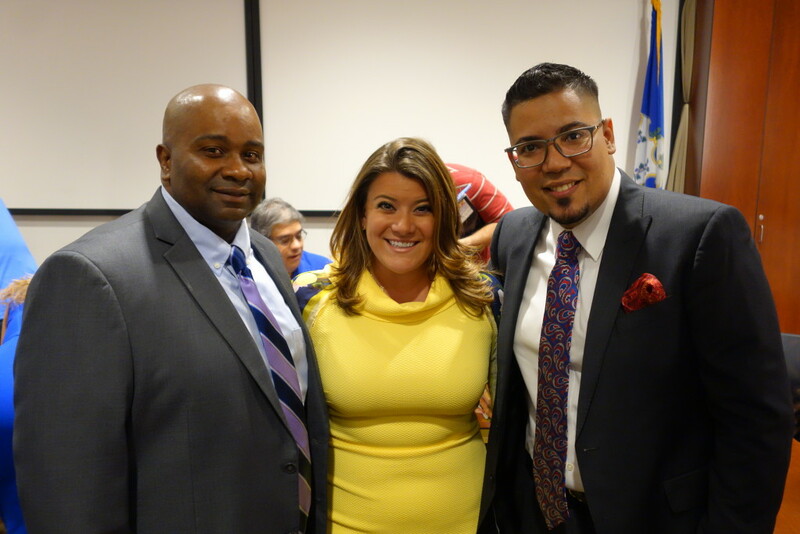 From left to right: Daniel Davis, Daniel Salerno, Desiree Costa, James Sanders Jr.
A lifelong resident of New Britain, Alderman Daniel Davis is dedicated to making New Britain the place to be for everyone. 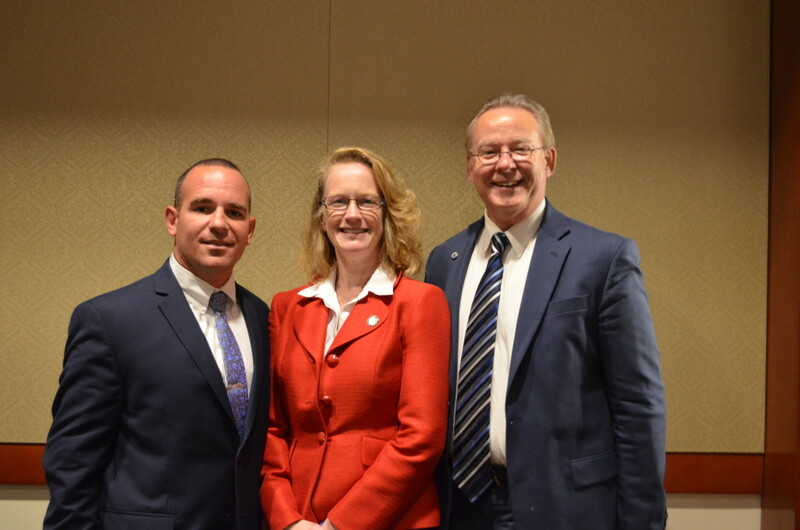 Working in Hartford for the Connecticut House Republicans, Davis has a strong and proven commitment to public service both in his professional career and personal life. Davis has served as a member of the Board of Education and most recently served as the Republican Town Committee Chairman. Davis is committed to continuing to improve New Britain’s business climate while assuring that New Britain improves for residents of each and every background. Alderman Daniel Salerno represents what it means to be a transparent candidate for New Britain residents. Salerno came on board in 2013 and since has held 24 “Coffees for Open Government” forums, where he meets with constituents at local businesses to discuss their concerns. As a registered Democrat and Majority Leader of the Common Council, Salerno is an advocate for working together regardless of party affiliation. Salerno is currently an adjunct faculty member at the University of Hartford, where he teaches sociology and political science. Desiree Costa joins Team Stewart motivated by the work they have done in the last few years. Costa, a business consultant at Mass Mutual Insurance and mother of five children, prides herself on wanting to lead the way through increasing employment opportunities, increasing household income, and supporting “green” initiatives that will help the City both financially and environmentally. Costa currently serves on the Board of Directors for the New Britain Little League and served as the President in the 2015-2016 season. Costa’s dedication to New Britain’s youth can help lead the way for a better educated New Britain. 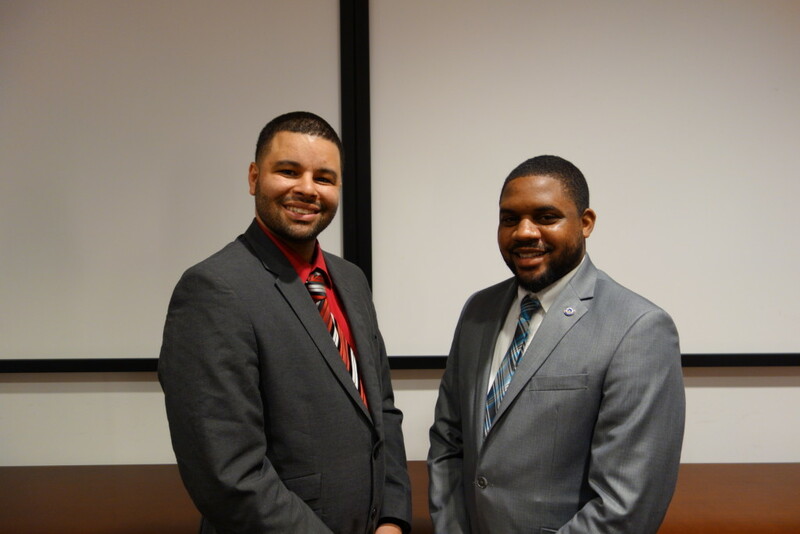 Born and raised in New Britain, Alderman Tremell Collins is eager to continue the progression New Britain has witnessed since the arrival of Team Stewart. Collins has been an active figure in the community for the majority of his life. He is currently a Civilian Adviser to the New Britain Police Explorers, a member of the NAACP, and DJs many different community events. Most recently, Collins was recognized by the NAACP as one of New Britain’s 25 Most Influential Black Citizens. A father of three, Collins has a strong dedication to the youth of New Britain. It is his dream to one day become Mayor of the City that has given him so much. Alderman Jim Sanders Jr. carries on a family legacy of New Britain political involvement and community advocacy that goes well beyond his own time as a member of the Common Council. As a small business owner and advocate for revitalizing New Britain, Sanders has been a strong supporter of the Mayor’s Transportation Oriented Development initiative. Sanders wants to assure that all residents of New Britain, regardless of background, have an opportunity at success through our progressing schools, strong business environment, and strongly bonded communities. As a small business owner in the City of New Britain for over 30 years, Alderman Willie Pabon brings a broad amount of expertise in business to the Common Council. Pabon prides himself on his dedication to economic development and a reasonable tax system that encourages growth and a positive business climate. Pabon currently serves as a liaison to multiple departments, including the Police Department, Board of Education, and Building Department. Pabon intends to continue his strong advocacy for a business friendly environment around the City and a safe and secure atmosphere for our youth. Common Council Pro-Tempore Jamie Giantonio will be running for his fourth term on the Common Council. Giantonio has been a key force behind the attraction of new businesses around New Britain and the development of previously unoccupied buildings around the City. Giantonio prides himself on making government more transparent and working in a bi-partisan manner to assure decisions are made in accordance with the people of New Britain. With both experience and leadership, Giantonio knows what it takes to keep New Britain moving in the right direction. “With dozens of new businesses opening up over the last two years—adding hundreds of new jobs—it is clear that New Britain is on the rise. I want to continue being a part of the work that Mayor Stewart is undertaking to create a new era of innovation and prosperity in New Britain. Part of that success has been her belief that no one party has a monopoly on what is right for New Britain,” said Common Council Pro-Tempore Jamie Giantonio. Alderman Kristian Rosado brings an abundance of energy and whit to the Common Council and will look to continue his work within our community. Rosado, a registered minister, has dedicated his life to helping others regardless of background. Rosado has been a strong advocate for bringing back New Britain pride and making sure everyone has a voice in government. An unaffiliated candidate, Rosado is a strong supporter and contributor to the success of the Mayor’s Transportation Oriented Development plan to help rejuvenate the areas of New Britain surrounding CTFastrak. Rosado believes that an ethical and transparent administration is the key to continued success. Alderman Jerrell Hargraves is ready to continue his success in Ward 2 after a strong first term. Hargraves was a key force behind New Britain’s second All-America City Award in two years, which recognized New Britain nationally for noticeable improvements in educational categories. As a family intervention liaison for the New Britain Board of Education, Hargraves has spent his time working with children and families in need of further guidance and opportunity. Hargraves has also been a part of the New Britain Parks and Recreation Department for over a decade and in his limited free time coaches youth basketball. Hargraves is a registered Democrat and Rosado is a registered Unaffiliated. Jason Gibson joins Team Stewart with a strong sense of leadership and experience in working with children and within our community. Gibson, a 25 year veteran of the Boys and Girls Club of New Britain and part time attendance monitor for the Consolidated School District of New Britain, is ready to bring his experience to the Common Council. Jason is also a Commissioner of the Housing Authority Board and a member of the Board of Directors at Hoops for the Homeless. Jason exemplifies what it means to be a public servant to two of the most important assets of our City; children and education. Another candidate who’s been motivated to run for Common Council through the success of the current Council, Joel Moret has a strong focus on continuing to improve New Britain’s fiscal stability, education, and community as a whole. Moret volunteers his time to numerous community organizations within New Britain and has built strong relationships with residents of every background. 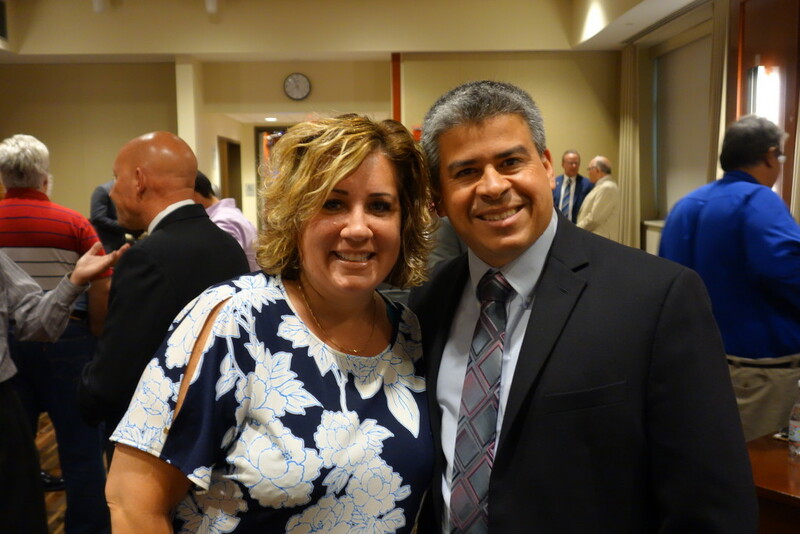 Moret is actively involved with the Greater Harvest Church and the New Britain Latino Coalition, and is an active board director at HRA of New Britain. Moret’s drive for achieving the best for all residents of New Britain will be a great asset to a result-driven Common Council. In addition to his 21 years as Director of Programs at the Boys and Girls Club of New Britain, Gibson has worked as a part-time attendance monitor for the Consolidated School District of New Britain since 2006; from 1994 to 2000 he worked as a Case Manager for the Young Parents Program. He is currently a Commissioner on the Housing Authority Board of New Britain, a member of the Board of Trustees for Grace Church, and a member of the Board of Directors for Hoops for the Homeless. Moret is a Lead Graphic Designer at Sign Pro Inc. and was involved in the design and production of the award-winning New Britain Historic Walking Tour trail, along with the signs located along CTfastrak, and several other local, national, and international projects. In addition to his work as a designer, Moret has volunteered countless hours with Greater Harvest Church, where he is also a member of the Board of Directors, where he has helped organize events that are free for residents including food drives, clothing drives, and also a Thanksgiving lunch for the homeless. Moret was also an active participant in the City’s recent “Experience the New” marketing initiative—the City’s first in nearly 30 years. Moret provided valuable feedback to the Marketing Panel to assist in the development of a new logo and tagline. “I’m excited by the opportunity to help bring even greater change to New Britain. My involvement with the New Britain Latino Coalition has shown me that there is an amazing amount of untapped potential in our community. I want to be a part of the Mayor Stewart’s continuing effort to make this City the best it can be for residents, businesses and visitors,” said Moret. Alderman Don Naples will be running for his third term on the Common Council and looks to continue the improvements that have been made in neighborhood relations, business development, and transparency in local government. A veteran and former Captain in the U.S. Coast Guard, Naples has worked as a telecommunications manager and as a small business owner in the computer retail business. Naples also has his B.S., M.S., and MBA degrees, qualifying him in numerous different professional fields. 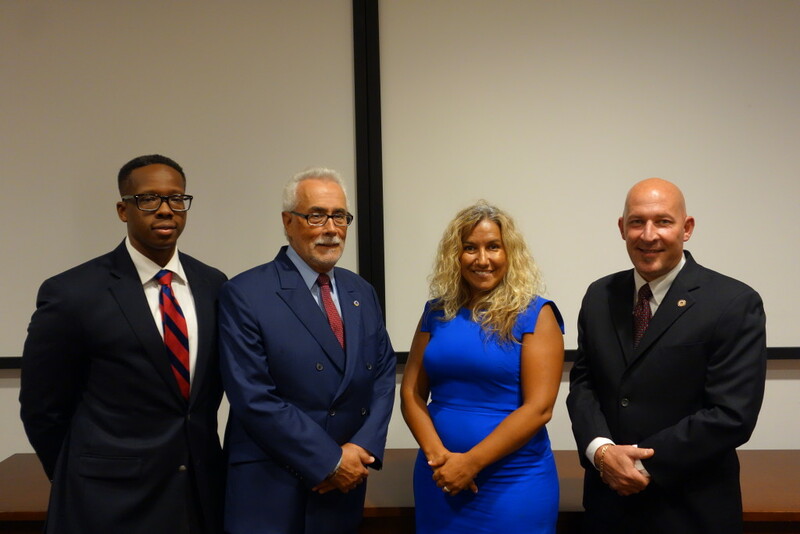 As an unaffiliated candidate, Naples represents the bi-partisan approach the current Common Council has taken under the leadership of Team Stewart. Alderman Robert Smedley is running for his second term as a representative for Ward 4. Smedley currently works for the Consolidated School District of New Britain as an energy management professional. Smedley has been a strong force behind New Britain’s energy and innovation in the past two years and looks to continue finding ways to help New Britain improve the environment and save money. Smedley also works part time as a 911 operator and dispatcher and owns his own disk jockey business. Smedley’s diverse range of knowledge and skills have been a great fit for the Common Council since his arrival in 2015. 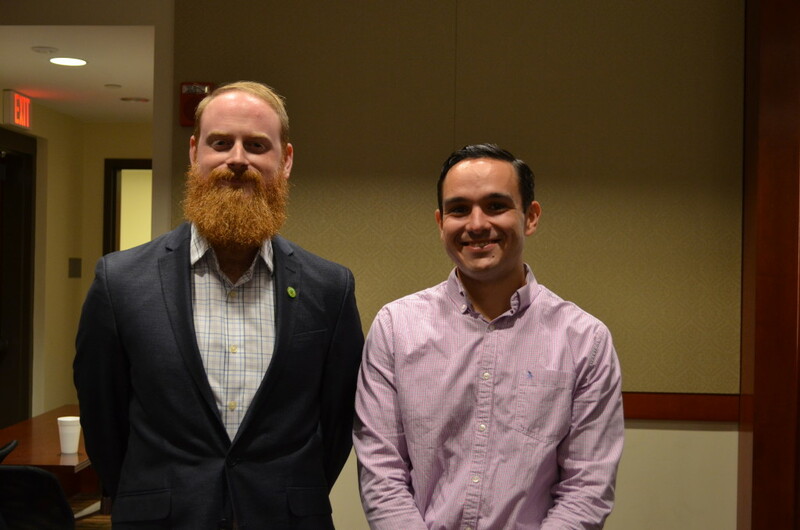 “Alderman Naples and Smedley have done a phenomenal job over the last four years listening to their constituents in the Central Connecticut State University area—along with others from across the community—to help create change and improve the quality of life for residents. I am excited to have them running again and look forward to seeing their work continue,” said Mayor Erin Stewart. Miriam Geraci comes into the election as the co-owner of one of New Britain’s favorite new places to grab a bite to eat. Geraci, who was born and raised in New Britain, served as a member of the New Britain Board of Education for the last two years and was also a member of the Civil Service Commission. After a 25 year stint as a paralegal, Geraci brought her skill set and work ethic to Main Street, where she opened the Hardware City Cafe. Geraci hopes to join the Common Council and assure small business owners that a positive and vibrant business environment in New Britain is here to stay. Carmelo Rodriguez joins Team Stewart as the epitome of what it means to be a representative of the people. Rodriguez, who has served in the military and worked as a state corrections office for 20 years, is a registered ordained minister and has built relationships with people of all backgrounds. Rodriguez has dedicated much of his life to helping those who are less fortunate and assuring that our youth remains safe and well-educated. President of the Latino Coalition in New Britain, Rodriguez has a voice for many of the people of New Britain. Through his leadership, service, and hard-working mentality, Rodriguez would be an exceptional representative to the people. “Miriam and Carmelo need very little introduction: they are extremely active members of our community who work day-in and day-out to promote positive changes all across our neighborhoods. As a partner in downtown New Britain’s newest eatery—Hardware City Cafe—and an ardent advocate for our students and schools, New Britain native Miriam is a tireless voice for small businesses and education. 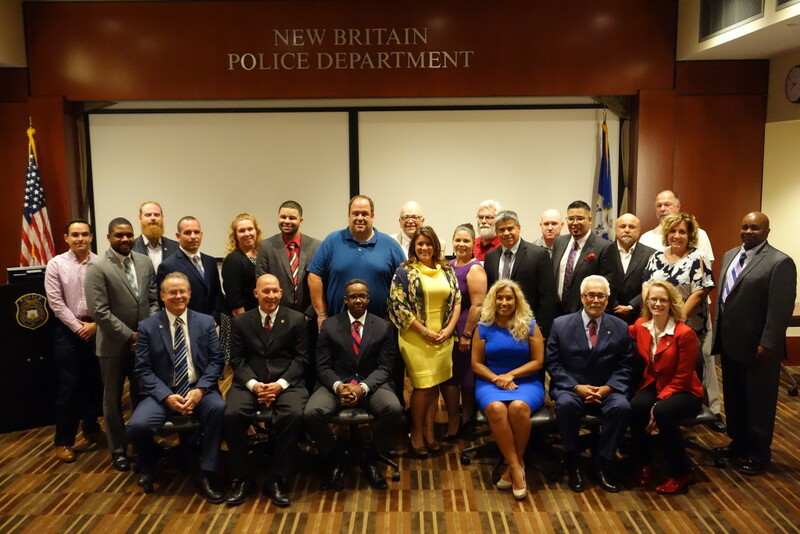 As the leader of the New Britain Latino Coalition, Carmelo is helping to create a resurgence in our Barrio Latino and forming partnerships with many sectors of our City in order to boost community pride and improve the wellbeing of residents, particularly of Latino descent,” said Mayor Stewart. Mark Degrandis enters re-election with a strong and proven resume as the Treasurer for the City of New Britain. With a specific focus on accurate budgeting and responsible spending and transparency, Degrandis has been a key force behind the City’s improved bond rating from multiple agencies since his election. Prior to his election as Treasurer, Degrandis was the vice chair of the Board of Finance and Taxation. His strong sense of financial responsibility and smart spending makes him the perfect fit in a financially responsible administration. Degrandis is a father of two and is a volunteer firefighter and EMT in East Farmington. Cheryl Blogoslawski holds one of the most difficult positions in City Hall. Blogoslawski has been a resident of New Britain for nearly 50 years and much of her family has had ties to local politics in that time. Blogoslawski has over 15 years of experience in the private sector, working in finance and commercial real estate along the way. Blogoslawski has done everything from assisting in budgeting and forecasting, to working with outside independent auditors. Blogoslawski cherishes her role as Tax Collector and is a key factor in the unprecedented growth the City has experienced under the leadership of Team Stewart. Mark Bernacki, who was cross endorsed by both the Democrats and Republicans, comes into this election cycle with strong intentions to continue the work he has started. Bernacki, who once served on the Common Council and as the Chairman of the Police Commission, also owns a small business called Sir Speedy, a printing and marketing company right here in New Britain. Bernacki has brought modern technology to the Town Clerk’s office, making services more accessible for residents. Bernacki has also incorporated a small business approach to the everyday office functions, which has brought a smooth and transparent atmosphere to employees and constituents. Town and City Clerk, Mark Bernacki, will be running for re-election for the first time. “Bringing 24/7 technologies, transparency, greater accessibility, and a small business customer centric approach to the town clerk’s office were my top priorities. It could only be accomplished through the hard work and dedication of the Town Clerk and IT staffs. Mayor Stewart’s vision and support on implementing these strategies were critical in our success. I would be an honor and privilege to continue serving the people of New Britain,” Bernacki said. 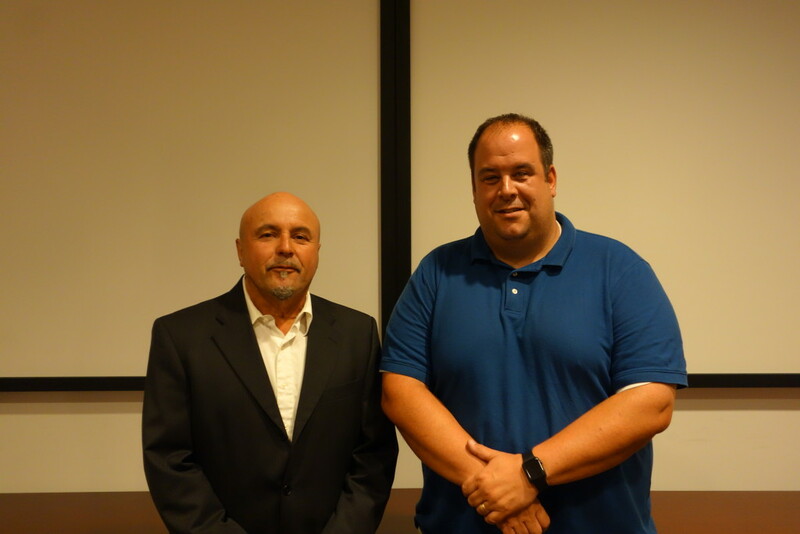 Also running for re-election will be City Treasurer Mark DeGrandis. Mallory Deprey comes into the election with a strong commitment to education and youth involvement. 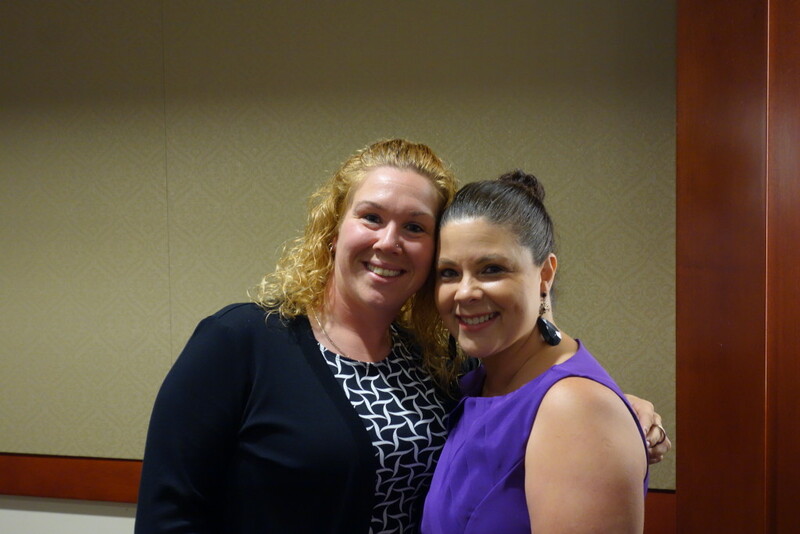 Deprey is currently the School Age Program Coordinator for the YWCA in New Britain and is responsible for the oversight of all out of school programming from K-12. She is also the Chair of the Professional Development Committee for the Coalition for New Britain’s Youth and is an active member of the Board of Education. Deprey feels that her commitment to working with children within the community can forge a relationship between different communities that will make a more cohesive New Britain. Nancy Rodriguez brings an array of experience to Team Stewart through her community and educational involvement. Working as a para educator for 14 years and as a career center counselor for the past nine years, Rodriguez has extensive experience helping students make the transition from high school to college. Rodriguez currently serves as the Vice Chair for Commissions on Community and Neighborhood Development and is a women’s speaker on issues such as abortion and domestic abuse. Rodriguez has traveled on mission trips abroad and finds her strength to help others through her greatest accomplishments in life; her three children. Nick Mercier has done a tremendous job serving as the President of the Board of Education and wants to work to keep New Britain schools on the rise. In the past four years, Mercier has worked hard to get the fiscal house in order and reshape the culture of our schools. With a Masters degree in music pedagogy from the Hartt School of Music, Mercier is now a music teacher and has worked with countless students throughout his professional career. Mercier intends to continue to give the best opportunity for students to succeed in our schools no matter where they come from or what they plan to do in life. Todd Cheney intends to continue the work he has done in his first term on the Board of Assessment Appeals. Cheney, a real estate agent and graduate of Columbia College Chicago, has found much success in helping people buy their first homes right here in New Britain. In his first term on the Board of Assessment Appeals, Cheney was introduced to a variety of appeals and has gained experience in making proper decisions and fair judgement. He hopes to come back for a second term to help make fair and balanced assessments for those who appear before him. Alex Carver joins Team Stewart after being inspired by the work the team has done from top to bottom in the last few years. Working as a financial auditor, Carver feels that his financial background and personal connection to the City can have a strong effect on difficult decision making. A graduate of the prestigious Bryant University and a life-long product of New Britain Public Schools, Carver has a variety of whit, community ties, and professionalism that can bring strong judgement to the Board of Assessment Appeals. Carver currently serves as a Justice of the Peace in New Britain and as a member of the Republican Town Committee. Paid for by Re-Elect Erin, Kimberly Jehning, Treasurer. Approved by Mayor Erin Stewart. Paid for by Leading the Way, Tony Cane, Treasurer. Approved by Leading the Way.